I have a few fun lesson helps for you today! 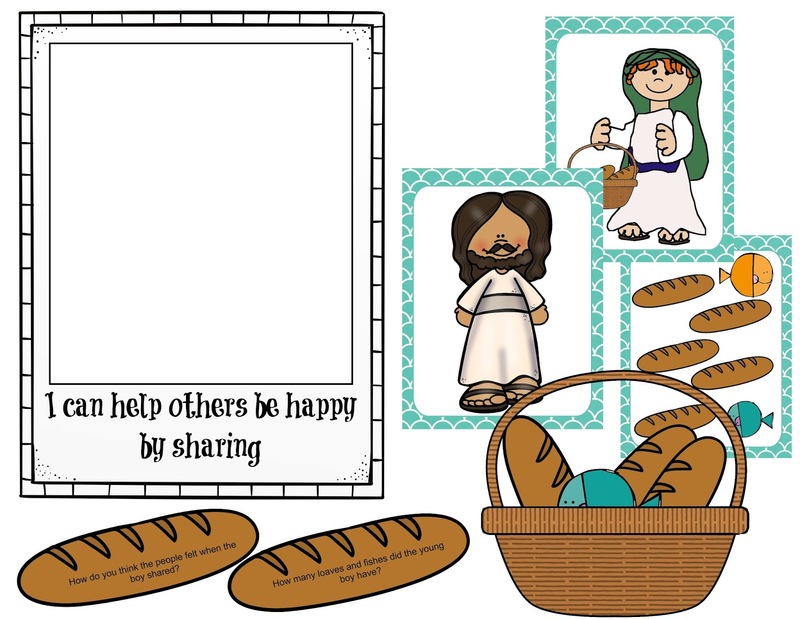 These go along with Lesson 27 "I can help others be happy by sharing." You can find the lesson here. You can download all of these for free at the end of this post. This would also be great for a Family Home Evening about sharing or Jesus feeding the 5,000. Story cards for the scripture story Jesus feeding the 5,000. Print and cut the cards apart. 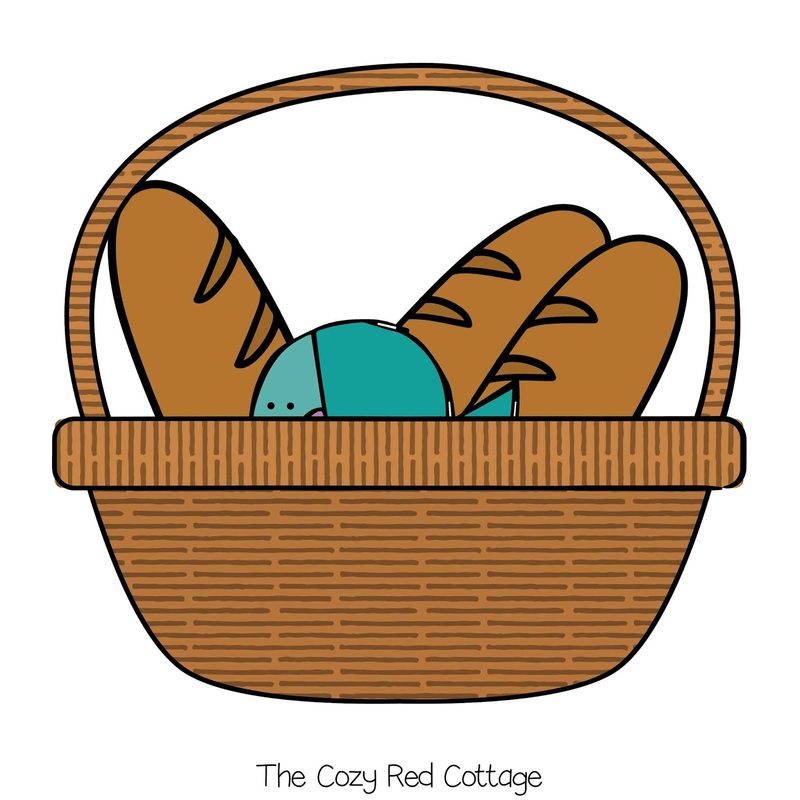 For the questions that go along with the story I created this cute basket with bread fish. The kids can take turns pulling one out and answering the question. 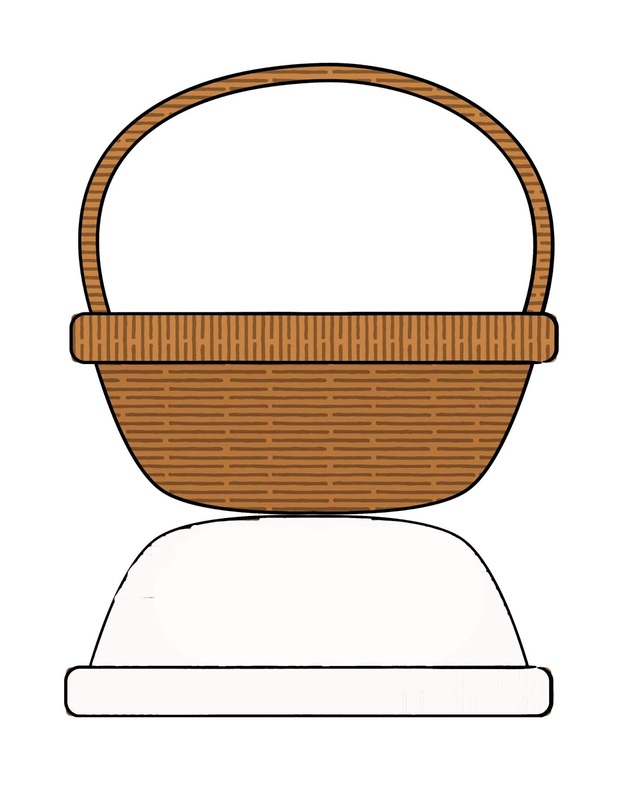 In the download the basket looks like this-Print (preferably on cardstock) and cut around the 2 baskets. Do not cut the bottom where they meet. Fold the white part back and tape or staple around the basket to create a pocket. 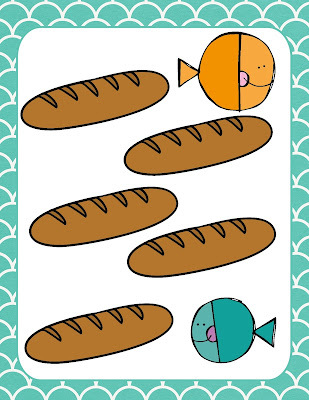 Print and cut out the bread and fish and put them in the basket. 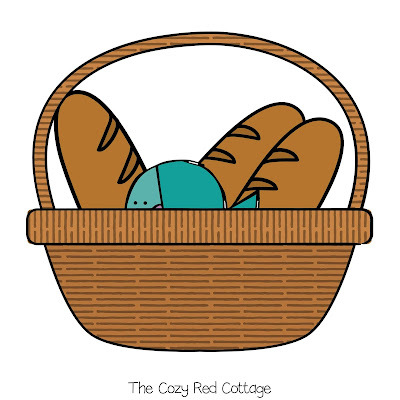 Here's a close up of some of the bread. 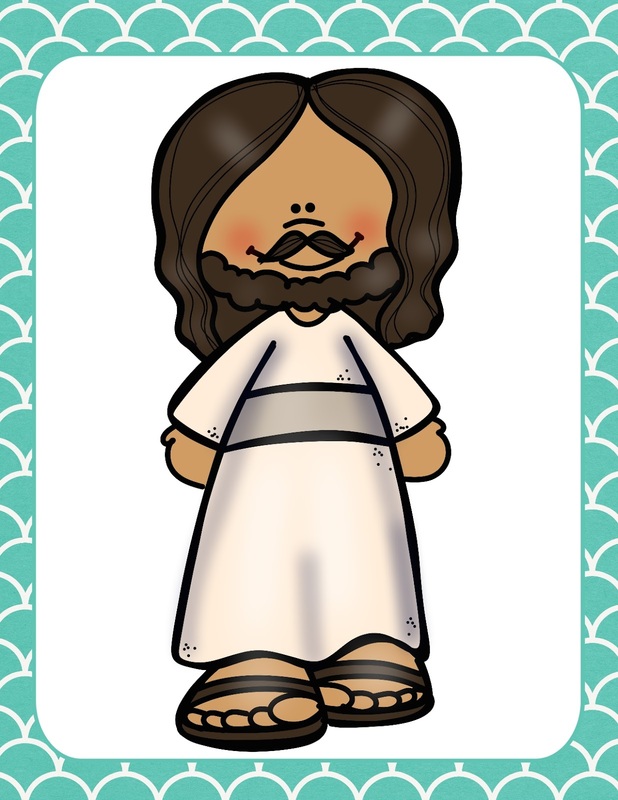 I also included a coloring page to go along with one of the activities in the enrichment activity section. There's a spot for them to draw a picture of themselves sharing. Download your free pack here!